Joann Smyth, celebrated jewelry designer for over 25 years, creates jewelry that is classically inspired with a modern vibe. Her use of pearls and stones in unusual colors, shapes, and textures is the cornerstone of her collection. 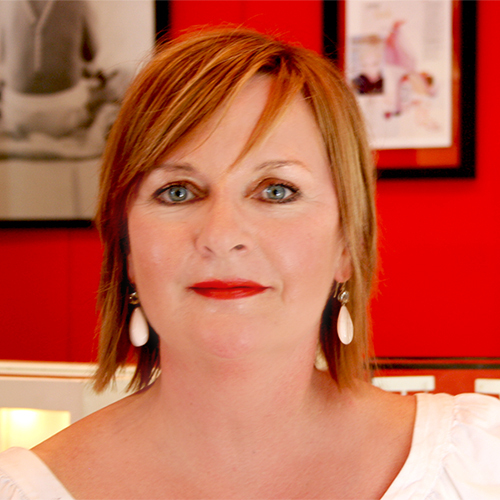 Joann’s design background began in New York City, designing packaging for the fine fragrance/cosmetic division of Revlon. Utilizing her sense of clean line, she uses pearls, semi-precious and precious gemstones to create jewelry that transitions easily from business to pleasure. Pearls, whether Tahitian, South Sea, Freshwater, or Akoya, are a particular passion and focus in her collection. In addition, Joann designs custom engagement rings and is known for meticulously restyling customer’s existing pearl strands and gemstones. Joann Smyth’s designs have appeared in M.O.M.A, Saks Fifth Ave, Neiman Marcus, Henri Bendels, Disney Concert Hall plus many prestigious boutiques and spas around the world. Joann’s designs have captured the eye of many discerning woman, particularly connoisseurs of fine craftsmanship and superb style. Aficionados include: Madonna, Nicole Kidman, Cameron Diaz, Jennifer Aniston, Vanessa Williams, Drew Barrymore, Courtney Love, Britney Spears, Holly Hunter, Natasha Richardson, Bernadette Peters, Jennifer Tilly, Sally Field, Belinda Carlisle and Bette Midler. Joann’s Jewelry has also appeared in several feature films: adorning Glenn close in “AIR FORCE 1”, Sarah Jessica Parker in “FAILURE TO LAUNCH” and Kim Basinger in ‘THE SENTINEL”. Joann has been featured on many tv shows, including “EXTRA” and “EYE ON LA”, highlighting the hottest and most beautiful shops in Los Angeles.